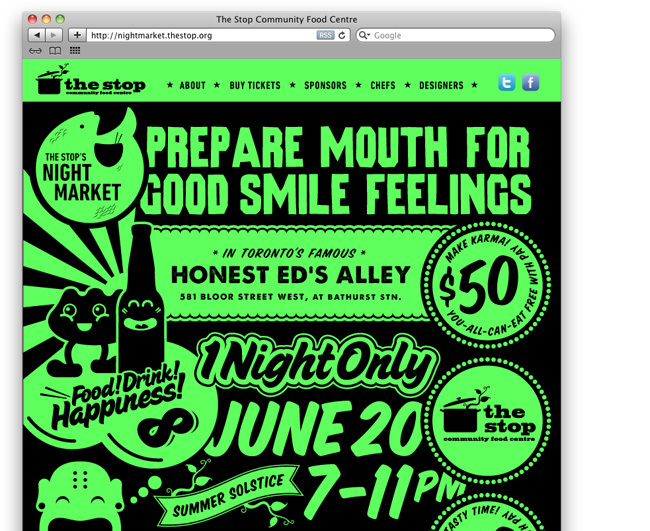 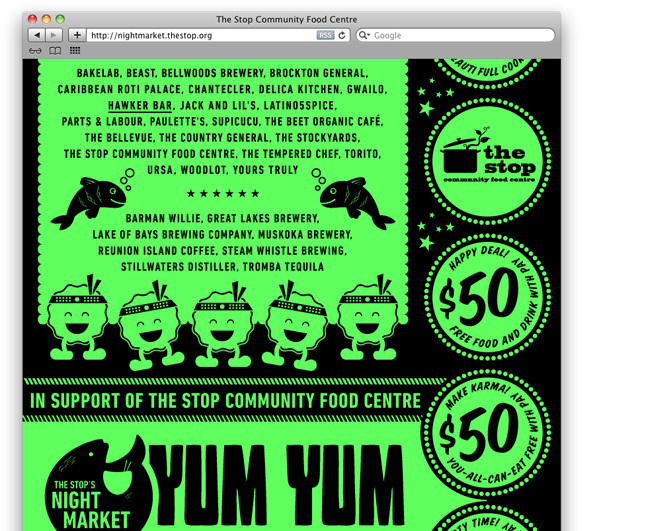 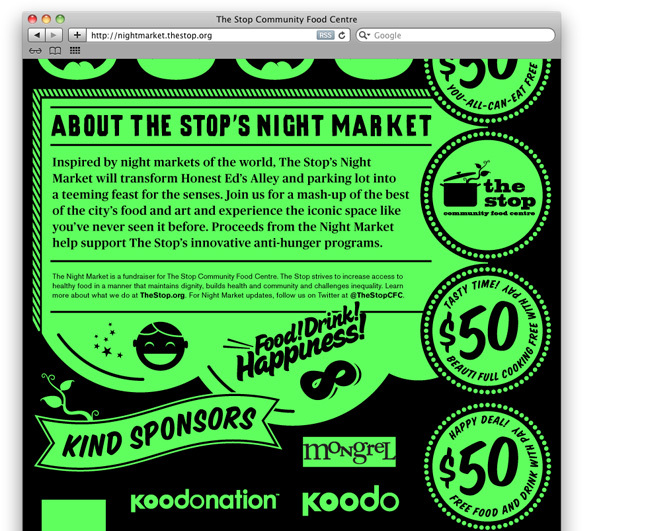 The Stop Community Food Centre is a Toronto-based, non-profit organization that aims to increase access to healthy food in a manner that maintains dignity and builds community. 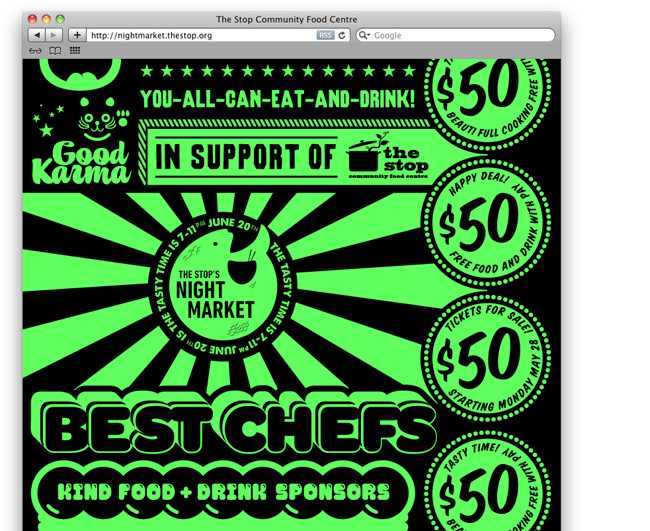 The Nightmarket was a one-off fundraising initiative drawing on the inspiration of night-market cultures of the world. 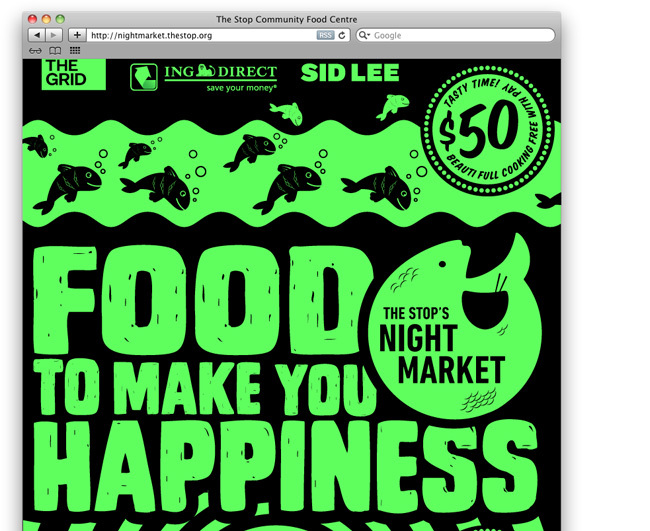 Using this inspiration in a playful way, the website was designed to transform the digital space into a vibrant and animated virtual market. 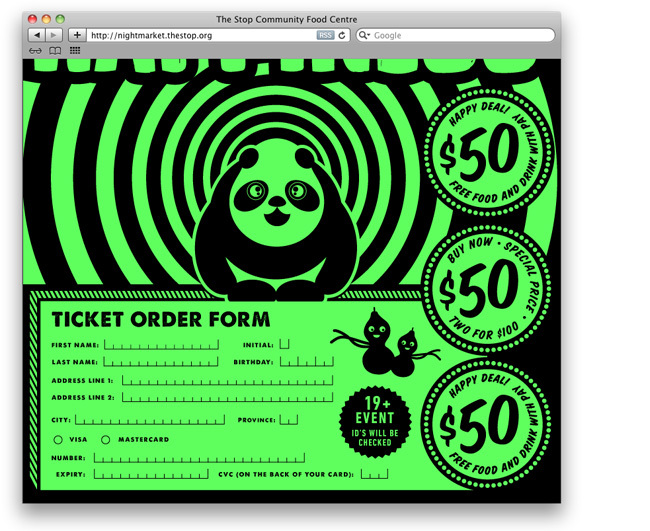 Iconic characters came alive online, along with blinking lights, flickering call-outs and buried messages (for the determined). 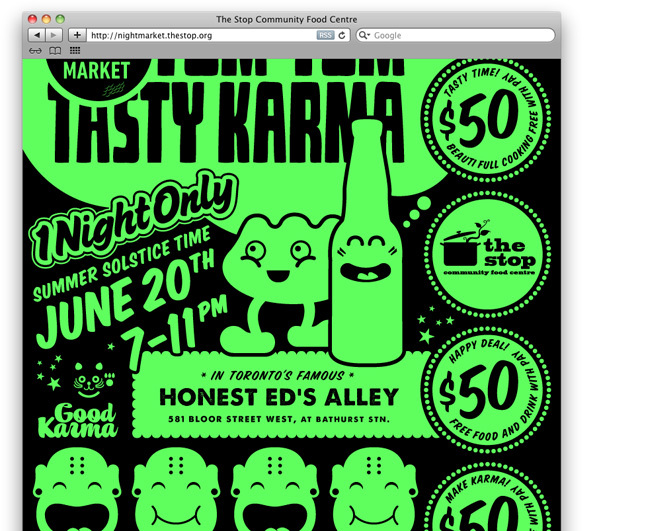 Thrifty, but cheerful (and amusing) posters, postcards, apparel were also created for the event.